Page Street Kids, 9781624146954, 32pp. Lena can’t wait to twirl and leap onstage at her school dance recital, but her family does not have the money to pay for new ballet slippers. As the day of the recital draws closer, Lena struggles to come up with a creative solution to reach her shining moment on stage, learning along the way that what you do is more important than what you wear. 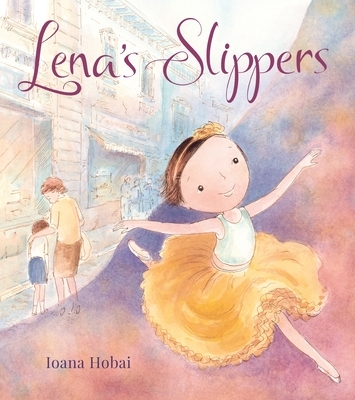 Lena’s passion for performing will inspire readers and aspiring ballerinas everywhere to never give up. Parents will love the story's value of individuality over artificial, materialistic ideals. With lovely illustrations, this heartwarming tale highlights the power of perseverance and the joy of creativity. Ioana Hobai grew up in Romania and lives in Massachusetts. After working as an architect for eleven years, she decided to return to her love of art and pursue children's illustration. She made her debut as an illustrator with Before You Sleep by Annie Cronin Romano (Page Street Kids, Fall 2018).